A combination of sweet and sour in a balsamic. 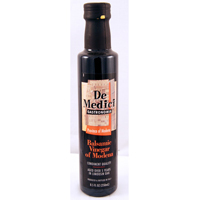 Brand: De Medici Imports Ltd.
Toschi's Gemma Nera is crafted from the highest quality vinegar. With a round and velvety taste, its flavor is a balance between sweet and bitter. Refined in traditional oak casks, Gemma Nera maintains a rare high concentration of grape of 65%. When Isola balsamic reaches the "Three Leaf" stage, then we're talking' a full-bodied harmonious flavor. Provides a pleasingly persistent aftertaste with an intense and vibrant fragrance. 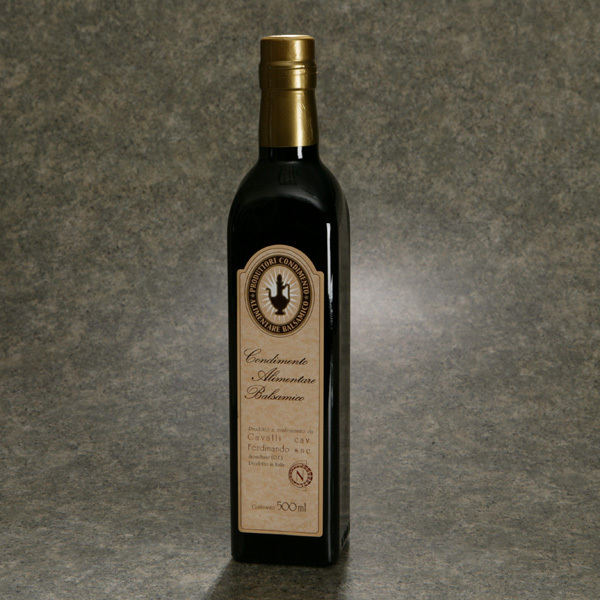 Rich and sweet flavor that pairs well with multiple dishes, this balsamic has a smooth texture ideal for drizzling over ice creams, fruits, and even meats.